The iconic photograph that was seen by many fellow SvenPals on Svengoolie and Kerwyn’s “mail call” segment (during Sven’s telecast of “Calling Dr. Death on Me-TV back at the end of July)! Kudos to Sven and Kerwyn)! Sept. 27, 2015 (Ed. note from the writer): “Silver Screen Reflections” was originally launched as a blog for my online journalism class at Hood College. Since then, I have had many interesting and fun experiences related to the world of classic (and cult) cinema, revival screenings of classic motion pictures, Svengoolie, Turner Classic Movies Shout! Factory/Shout! Factory TV, Mystery Science Theater 3000, The Mads and RiffTrax (just to name a few). Around the same time that “Silver Screen Reflections” went into operation, I officially joined Twitter. Over the years, I have made many wonderful friends of the matinee with fellow Svengoolie SvenPals, MST3K MSTies. Turner Classic Movies/TCM Party fans and classic film aficionados throughout the nation! 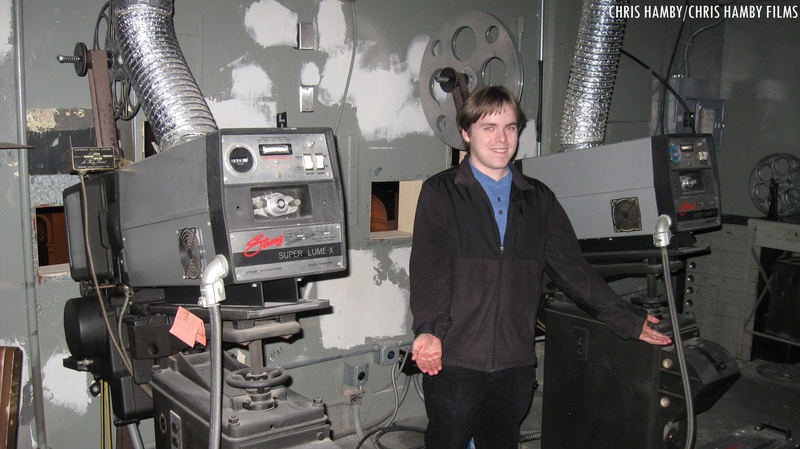 Flashback (two years before “Silver Screen Reflections”): Your mild-mannered reporter is standing next to two vintage Simplex X-L projectors at the Weinberg Center for the Arts (the former Tivoli Cinema) in Frederick, Maryland. There will be more in store on “Silver Screen Reflections,” including my weekly Tue. post on Sven’s upcoming Sat. 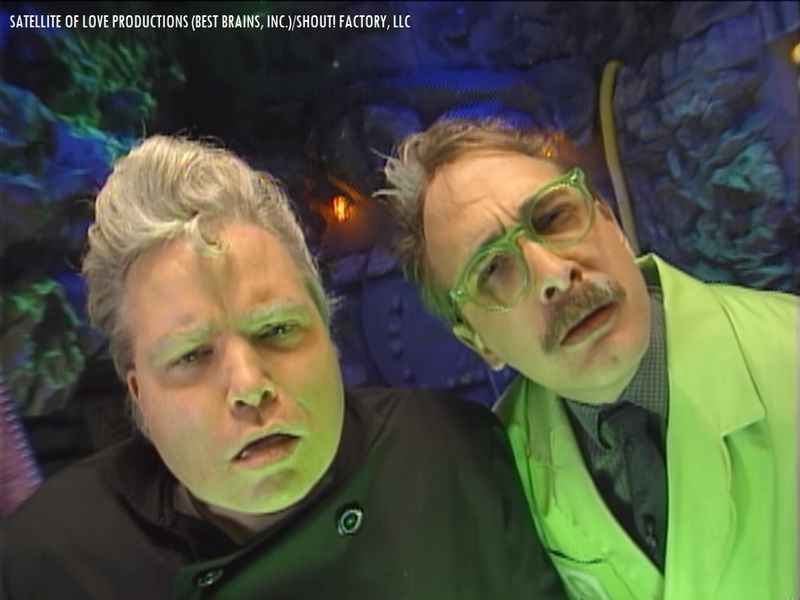 horror/sci-fi film selection on Me-TV, an upcoming RiffTrax presentation in late October and MST3K alums Trace Beaulieu and Frank Conniff’s live Nov. appearance at the Weinberg Center For the Arts (“The Mads are Back”)! 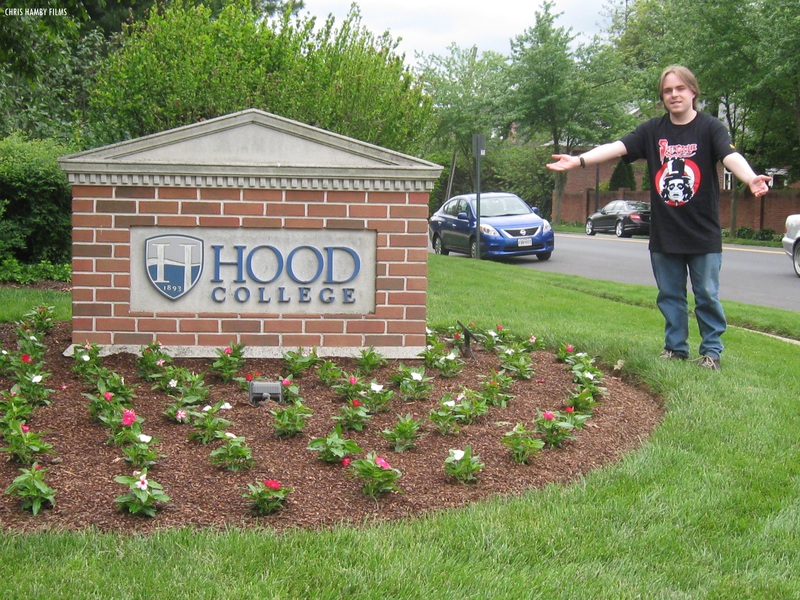 Most important of all, I would like to thank all my fellow SvenPals, MSTie pals, Hood College alums and classic film enthusiasts throughout the nation for enjoying, commentating and sharing my blog posts! Highly appreciated! 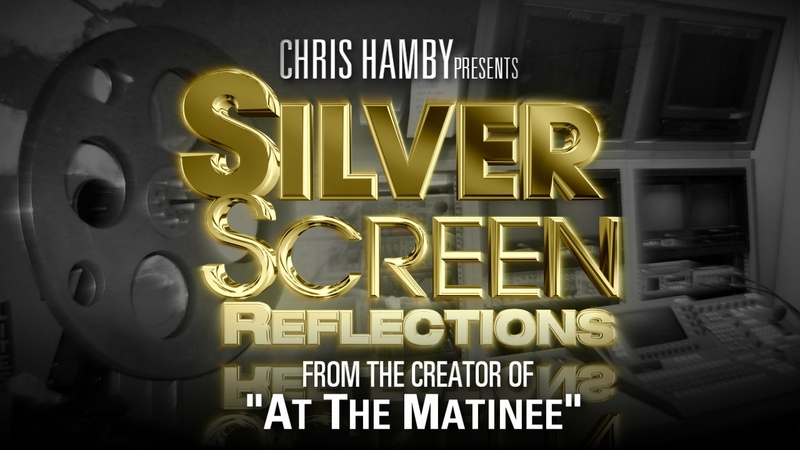 Questions/Comments on “Silver Screen Reflections?” Drop a line at the comments section! Fellow Svengoolie pals from coast-to-coast will be jumping for joy this Sat. as he will showcase one of the definitive Universal Studios monster classics. The legendary Berwyn/Chicago-based horror movie host will be showcasing “Frankenstein” (1931), this Sat., Sept. 23 at 8 p.m. Eastern/7 p.m. Central on Me-TV. The mammoth 1931 silver screen adaptation of Mary Shelley’s novel was directed by James Whale. This will mark Sven’s fourth nationwide broadcast of the 1931 Universal monster classic. He had previously showcased ‘Frankenstein” back in Nov. 2013, Nov. 2014 and Oct. 2015 on Me-TV. Who was in “Frankenstein” (1931)? 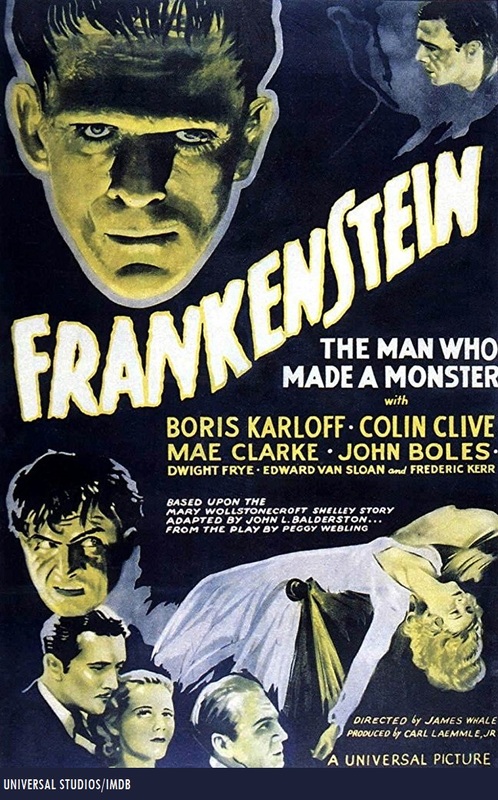 The players who appeared in James Whale’s “Frankenstein” were Boris Karloff (as Frankenstein’s monster), Colin Clive (as Dr. Henry Frankenstein), Mae Clarke (as Elizabeth), John Boles (as Victor), Edward Van Sloane (who played the dual roles of Dr. Waldman and the prologue announcer), Dwight Frye (as Fritz), Marilyn Harris (as Maria), Frederick Kerr (as Baron Frankenstein) and Francis Ford (as Hans, who did not receive any screen credit in the film). Shortly before he made his appearance as Frankenstein’s monster in Whale’s film, Karloff played the role of tabloid reporter T. Vernon Isopod in the film “Five Star Final” (1931, alongside Edward G. Robinson) at rival studio Warner Bros. Pictures (under the “First National-Vitaphone” banner). Fellow Svengoolie pals will be cheering for joy this weekend as he will showcase a 1953 Universal Studios cinematic sci-fi masterpiece. 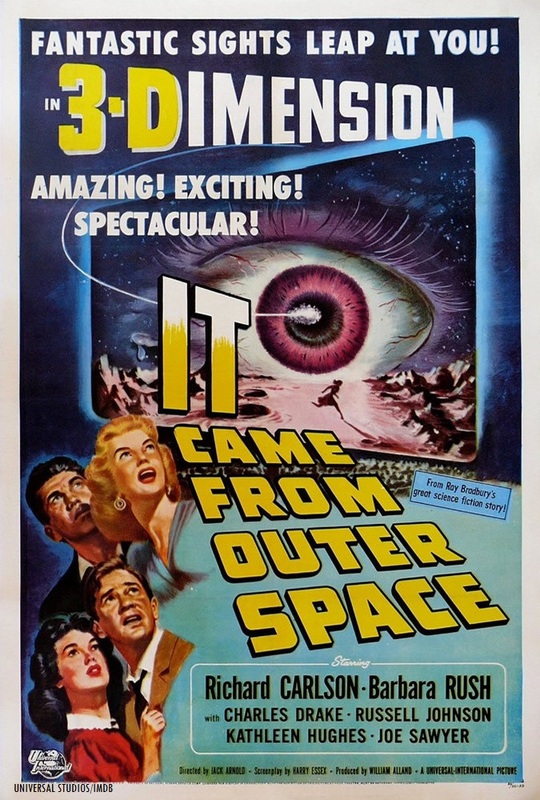 The legendary Berwyn/Chicago-based horror film host will be showing “It Came from Outer Space” (1953), this Sat., Sept. 16 at 8 p.m. Eastern/7 p.m. Central on Me-TV. 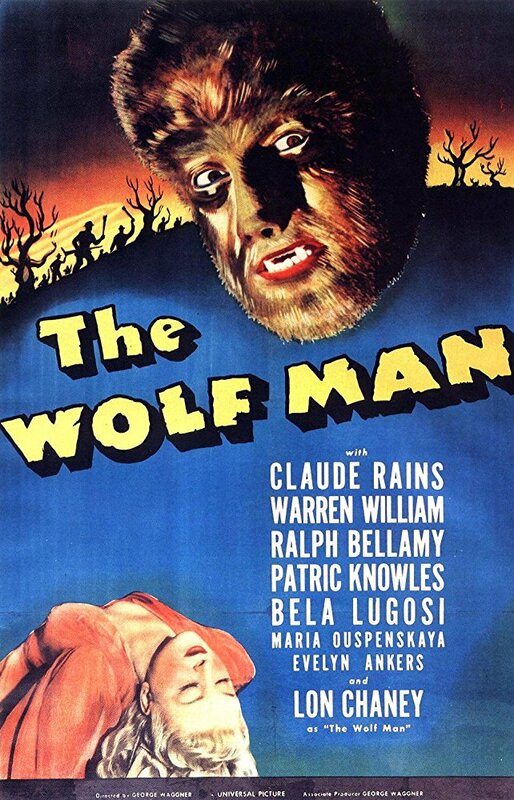 The film was directed by Jack Arnold, who also worked on “Creature from the Black Lagoon” (1954), “The Incredible Shrinking Man” (1957) and “Monster on the Campus” (1958). The story was written by science fiction writer Ray Bradbury and the screenplay adaptation was written by Harry Essex. This will mark Sven’s third broadcast of “It Came from Outer Space.” He had previously showcased Arnold’s film back in May 2014 and Oct. 2015 on Me-TV. Who was in “It Came from Outer Space” (1953)? The players who appeared in Jack Arnold’s film were Richard Carlson (as Jack Putnam), Barbara Rush (as Ellen Fields), Charles Drake (as Sheriff Matt Warren), Russell Johnson (as George), Kathleen Hughes (as June) and Joseph Sawyer (as Frank Daylon). “Movie Sign!” Trace Beaulieu and Frank Conniff are coming to the Frederick area with “The Mads are Back!” in Nov.
Frank Conniff (as “TV’s Frank”) and Trace Beaulieu (as “Dr. Clayton Forrester”) in “Mystery Science Theater 3000” (from Ep. #303, “Pod People”). Fellow MSTies in Frederick will be jumping for joy when two legends from “Mystery Science Theater 3000” will make a live appearance this fall. Trace Beaulieu and Frank Conniff’s “The Mads Are Back” live movie riffing tour showcase is coming to the Weinberg Center for the Arts! MST3K alums and veteran comedians Trace Beaulieu (who portrayed mad scientist Dr. Clayton Forrester and was the first voice of Crow T. Robot) and Frank Conniff (who played mad scientist “TV’s Frank”) will be bringing their live movie riffing showcase, “The Mads are Back!” to the Weinberg Center for the Arts in downtown Frederick, Maryland on Sat., Nov. 18 at 3 p.m. and 7 p.m. 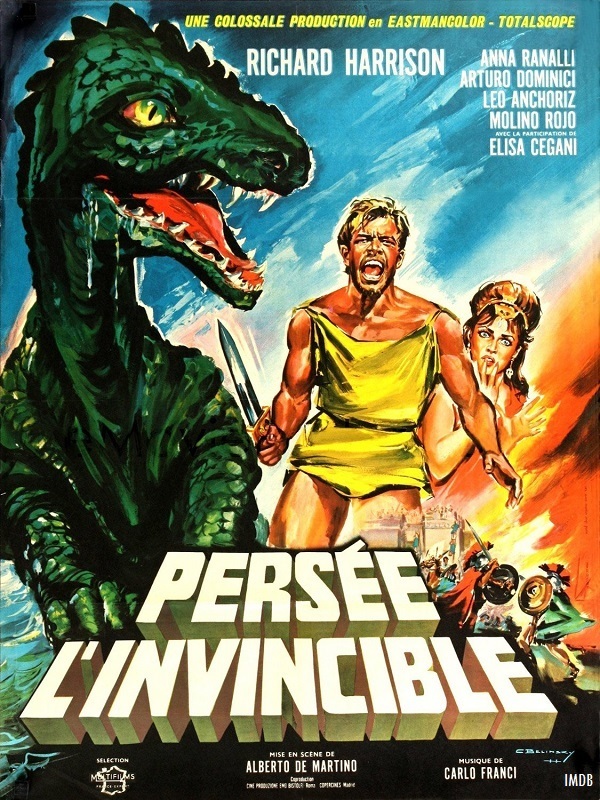 Fellow Svengoolie pals will be looking forward to his upcoming primetime premiere of a 1963 creature/sword-and-sandal adventure film from Italy. The legendary Chicago/Berwyn-based horror film host will be showcasing “Medusa against the Son of Hercules” (1963), this Sat., Nov. 9 at 8 p.m. Eastern/7 p.m. Central on Me-TV. Sven’s premiere of “Medusa against the Son of Hercules” will be part of his new Me-TV primetime slot during the network’s revamped “Super Sci-Fi Saturday Night” lineup. The film was directed by Alberto De Martino. The players who appeared in De Martino’s feature were Richard Harrison (as Perseo/Perseus), Anna Ranalli (as Andromeda), Arturo Dominici (as Acrisio), Leo Anchóriz (as Galenore), Antonio Molino Rojo (as Tarpete, credited as Molino Rojo in the film) and Roberto Camardiel (as Cefeo). Two years before production began on “Medusa against the Son of Hercules,” Richard Harrison appeared in De Martino’s “The Invincible Gladiator” (1961). One of Harrison’s earliest feature film roles was in the 1958 film adaptation of the Richard Rodgers-Oscar Hammerstein musical, “South Pacific” (he played a co-pilot).